Designing interior spaces can quickly rack up a bill. 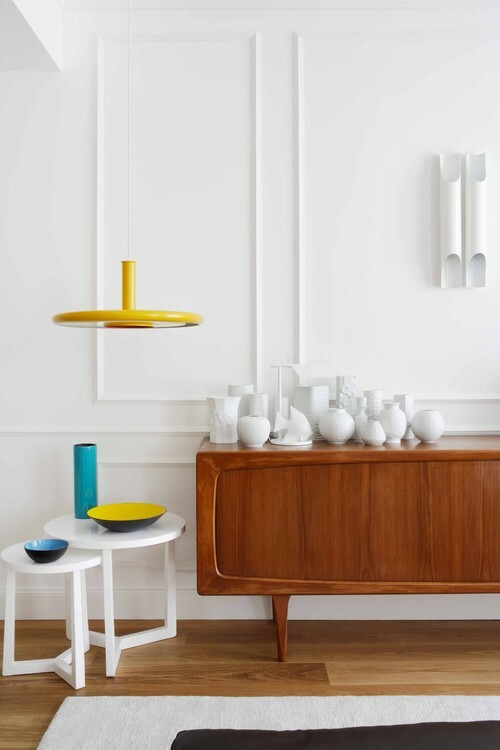 Integrating a style into a room doesn’t necessarily have to be expensive, though it does take a good eye and some skill to recreate high end looks on a low end budget. Many professionals as well as do it yourselfers are turning to recycled and repurposed materials to cut down on expenses and environmental waste. The interior of this 1950’s era sunroom was redone with mostly recycled and renovated objects from garage sales, flea markets and Habitat for Humanity’s Re-Store. 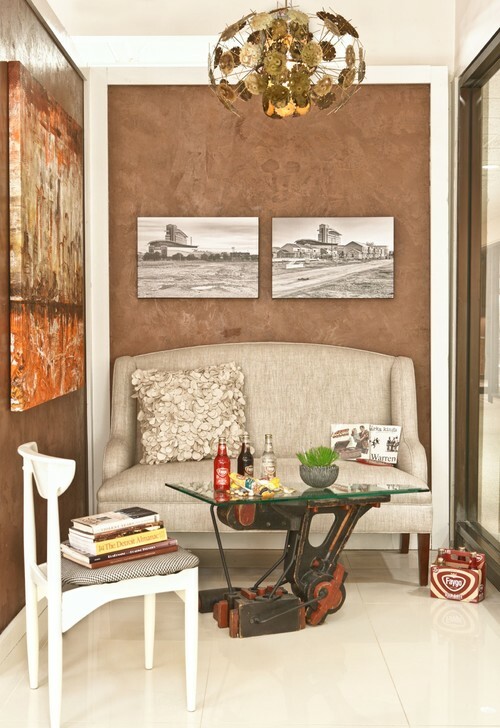 This sitting area integrates vintage and repurposed items. 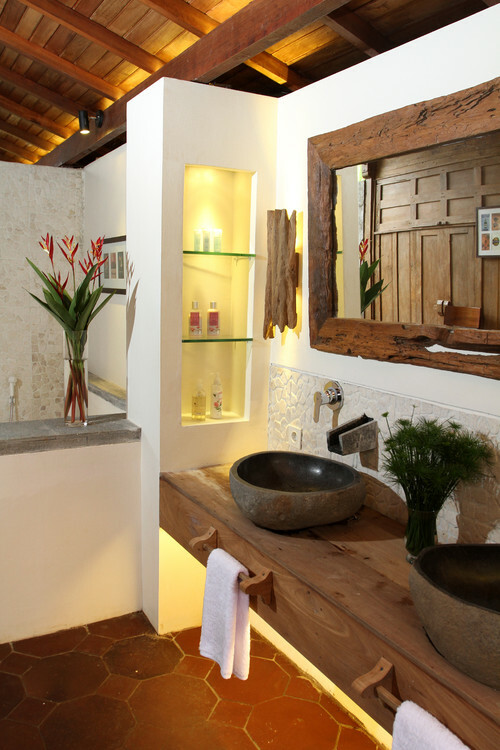 Featuring reclaimed wood, these sink vanities add to the old world look. 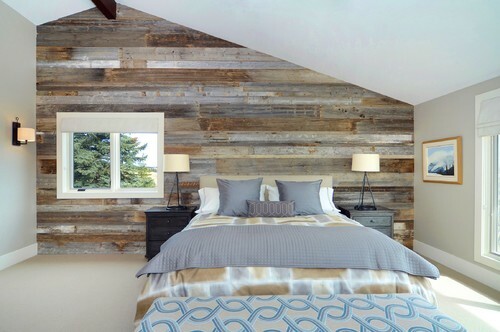 Reclaimed wood placed on one focal wall or used throughout an area can change the appearance and feel of the entire room. Often when on a budget you can accumulate an assortment of mix-matched items, like hand me downs and thrift shop must haves. These can be structured into interiors that look pulled together without draining expenses. This room assembles pieces that have been handed down as well as thrift shop objects. 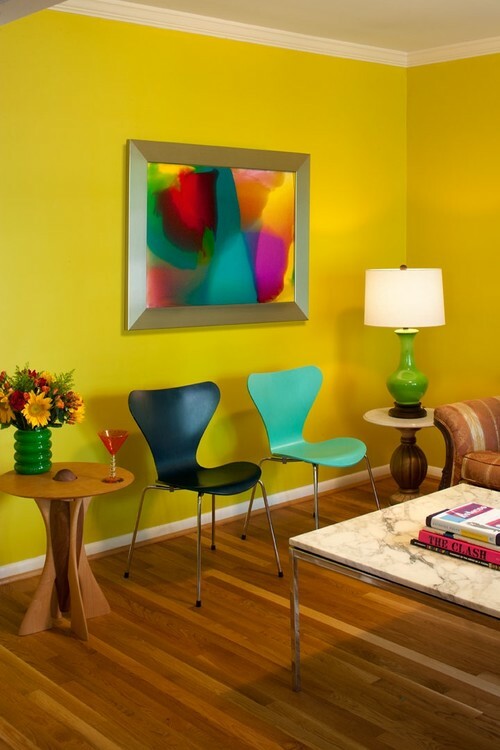 Bright paint reinvents the appearance and attitude of the space. Also, placing like colored objects together offers a polished presentation, even if only a small grouping of glass bottles and jars. Recycled brick is given a fresh, clean coat of paint. 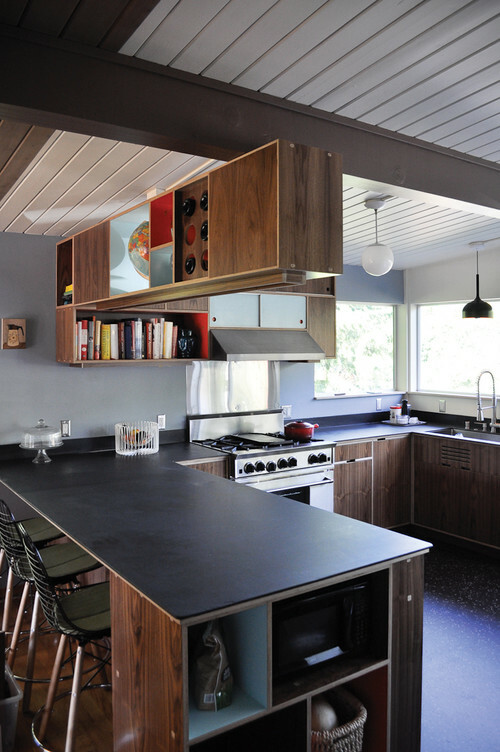 These kitchen countertops were made with recycled chalkboard slates from schools, creating a unique writeable surface kids will love. 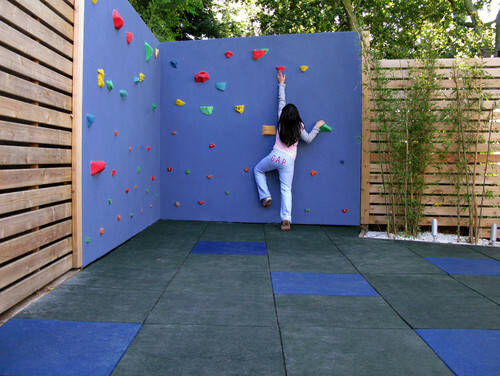 Children will also appreciate this recycled wall design that uses bamboo and old tires for the flooring. Using existing resources as opposed to new ones is earth smart and allows more room in the budget. Plus, creativity is free. 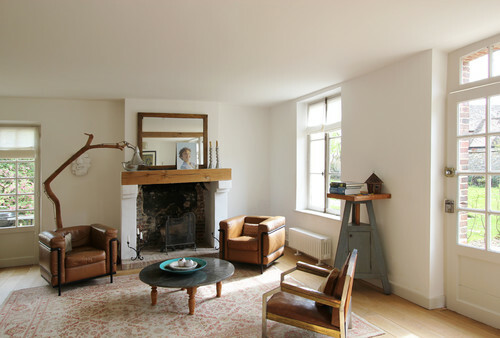 All images are courtesy of Houzz.